Thread: 1227747 to 16197427 Adapter Plug? I've removed the connector from a 1227747 ECM. I'm looking for some ideas on how to connect / solder the wires to the pins? Is there something like a solder ferrel? Dave, what I did was use the connectors from the 7747 and just plug them into the back side of the connector. I use crimp style female DB9 (computer) pins, to attach wires to the ECM connector pins. Crimp and solder to the wire, then solder to the pin. Best way I have found to do this yet. I did make a '7747 to '7730 adapter once, where I just soldered the wire directly to the pins, and it worked well, just didn't seem to have the strength of using the DB9 connectors. I always liked Six Shooters way... until I saw Jims way! Take a look at 0411 PCM connector pins, I think they will fit like Six Shooters way. Thanks everyone for the ideas, that's what I needed help with. The vehicle pic where the adapter will be installed. I did it the way I did because of how easy it was. I went to the junkyard and cut off pigtails from a 7747 and an 8625. Then instead of repining connectors, I just soldered wire to wire to make the correct connections. I tried soldering the connector, but wasn't happy with the results. I also made the pigtail long so that the ECM could sit on the seat while I was tuning. When I made mine I simply sodered the wires directly to the pins. Some of them were kinda a pain to hold in place while sodering. I do like Jims idea! Never would have thought about doing that. So dave, working on a astro van ehh? 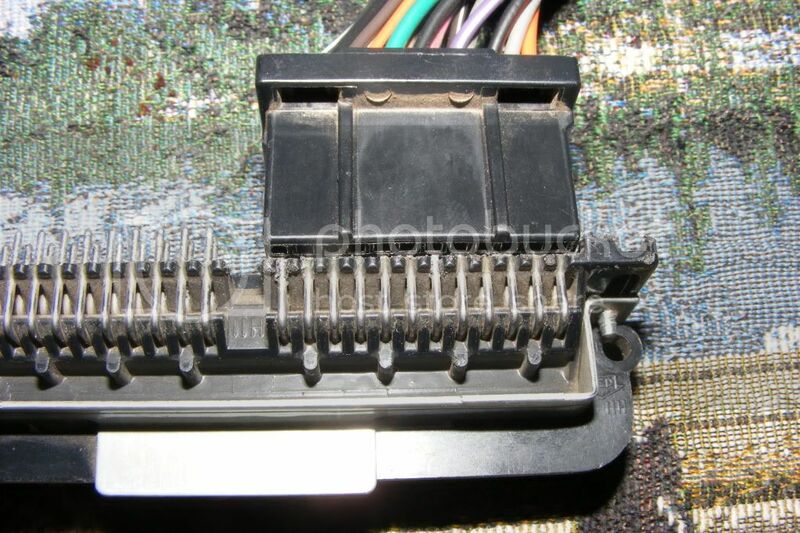 So I was wondering, does anyone by chance have a bad 7427 or simillar (as long as it had the same connectors as a 7427). I'm working on an Astro Van. I'm going to let the vehicle owner decide which method of soldering the wires to the connector will work best for him. I think there might be clearance problems? I think the vehicle owner is concerned about the 700R4 TCC controls working with the newer TBI PCM. The vehicle owner decided on using the db connectors pins. Seems like this Ebay seller has a good price for the db connector pins? The adapter plug is finished. Nice Job. I bet you spent some time with a soldering iron. Wow, way better looking than mine. Mine looks jerry rigged, but works. Yours looks truely professional. The cable is a customer deliverable item, so I like to make them look good.